How do I know the brightness difference for your products? Do you have helmet mounts for your lights? Most Cygolite headlights have a helmet mounting option. Visit the online spare parts page to find your model. Can Cygolite lighting systems be used in the rain? All Cygolite systems are designed to be weather resistant and will work normally in rainy conditions. The systems are not intended for use under water. Can I use non-Cygolite parts for Cygolite Products? Cygolite products and its components are manufactured to specific quality standards. Only use original Cygolite parts. Using non-Cygolite parts will void the warranty, and may result in product damage or personal injury. When should I charge my light? It is recommended that you fully charge your battery whenever possible. Can I leave my Li-ion battery plugged in the charger for extended periods of time? The Li-ion battery has built-in overcharging protection that allows you to leave it on the charger without damage. For your safety and consideration, we recommend disconnecting the battery from the charger when the light is fully charged. Are battery types interchangeable between models? Each model and battery type may have different specifications. A battery designed for a particular headlight series therefore may not be compatible with any other series. Are Cygolite chargers universally compatible with different models? Different Cygolite models will use different chargers that are not interchangeable. Only use the charger that came with the product box. Refer to the battery and charger labels for compatibility. Are third party universal chargers compatible with my Cygolite battery? It is recommended that you only use the included Cygolite charger or cable to recharge a battery. Use of any other chargers may result in damage or personal injury. Can I upgrade my NiMH battery to a Li-ion battery? NiMH and Li-ion batteries and its associated lighting systems are not interchangeable due to specification differences. What is the best angle for bicycle lights? It is recommended that you angle the light slightly downwards. Doing so allows you to get the most out of your light in a safe manner. Why am I getting different run times than specified on my light? If you are experiencing shorter run times than expected, it may be due several factors. Cold temperature, battery age, etc can contribute to shorter run times. In colder environments, warm up the battery by charging it for about 5 minutes before using the product. If you have a model with an old battery, it may be losing its charge capacity and it is recommended that you replace it as needed. How do I maximize the lifetime of my battery? Fully charge the battery upon purchasing your new lighting system or battery. Make sure the battery always has at least a minimal charge and is never completely drained. If you are not using the battery for a few months, safely store the battery with about a 30% charge. For every two months the battery is not used, charge it for about 1 hour before storing it again. Do I need a special charger to charge my Cygolite battery outside the USA? If you purchased a Cygolite lighting system in the USA and plan on using it abroad, a different charger may be necessary. If you purchased the system in a different country from an authorized reseller, the system should already include the appropriate charger. Outside the USA: I purchased a Cygolite product outside the USA from an authorized dealer. Can I get service and support from you?  Cygolite works with several authorized international distributors that may assist you with product service and support. For more information, contact an authorized distributor in your country or Cygolite Customer Service. Outside the USA: What is the difference between buying a Cygolite product in my country and importing one directly from the United States? A Cygolite product purchased through an authorized dealer in your country is equipped with components in accordance with local standards and regulations. The Cygolite warranty is not applicable when customers purchase Cygolite products through US resellers that are then used in a different country.